proposed rules for public comment. 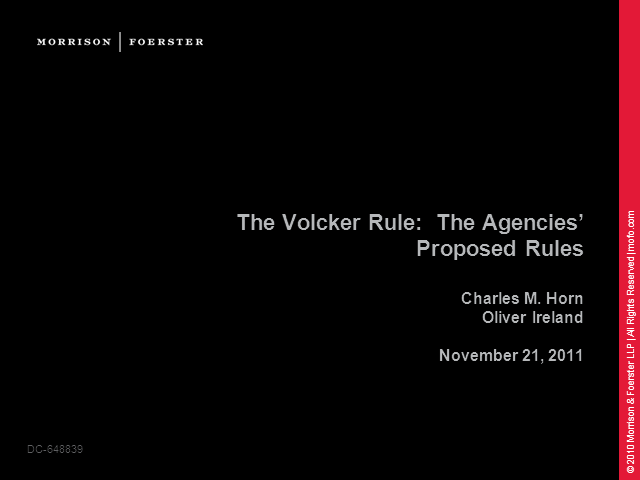 The proposed rules can be accessed at http://www.mofo.com/files/Uploads/Images/Volcker%20Rule%20Text.pdf. obligations for affected financial institutions. (i) What is proprietary trading?